What are the signs of concussion in a child? The HeadCheck app knows! We’ve all seen those sickening blows that knock professional sportsmen and women out cold. Alarmingly, concussion is also incredibly prevalent in childhood; one in three kids will have a concussion before the age of 16. Do you know what the symptoms of concussion in children are? This free smartphone app does. While a knock to the head is on the cards for most children at some stage, either in the playground or the sporting field, the impact of concussion can last well beyond childhood. It can affect memory and attention, if not treated properly. Vicki Anderson, head of clinical sciences at the Murdoch Childrens Research Institute and psychology at Melbourne’s Royal Children’s Hospital, is developing a smartphone app to help parents recognise the symptoms of concussion in their children. 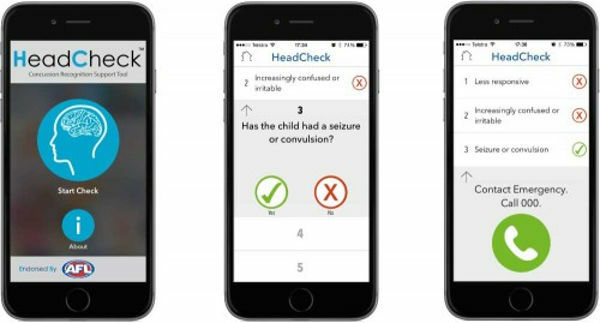 HeadCheck will ask a series of simple questions about how the child is feeling, then based on the answers the app can suggest whether the child should see a doctor, or if an ambulance should be called. HeadCheck can also be used to check the child’s recovery following a knock to the head. While the app will be free, an additional $15,000 needs to be raised for the next stage of its development. 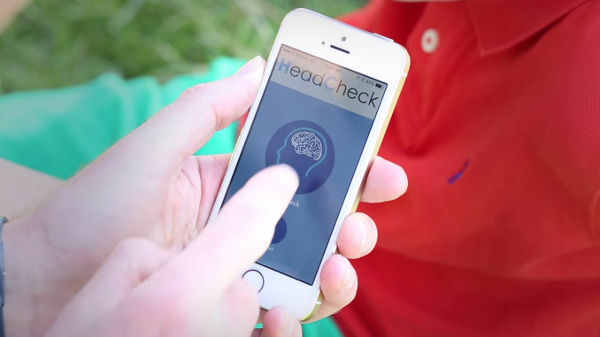 A crowdfunding campaign is underway, via Chuffed, to complete the development of HeadCheck for iPhones and build the app for Android. There are some great incentives for donating – including a signed Carlton Football Club guernsey for highrollers willing to inject $700 into the app’s development. Pledges start at $25, and the campaign finishes on 18 June, 2015.